Two men struggle to find common ground in order to usher Zimbabwe's shaky coalition government into a new era of democracy. In the riveting, feverish documentary Democrats, two strong-willed lawyers with vastly different motivations clash heads, wrestling to find common ground in order to usher Zimbabwe from authoritarian rule into a new era of democracy. Over the doc’s three-year filming period, director Camilla Nielsson captured one of the most critical political processes in the country’s history: As a result of Zimbabwe’s botched 2008 elections, long-time dictator Robert Mugabe’s party, ZANU-PF, was forced to coalesce with their rival party, the Movement for Democratic Change, to forge Zimbabwe’s 2013 constitution. Party warfare was inevitable. Tensions were high. Foreheads were sweaty (partly because of the political madness, but mostly due to the fact that Zimbabwean politicians wear heavy suits under the hot African sun). 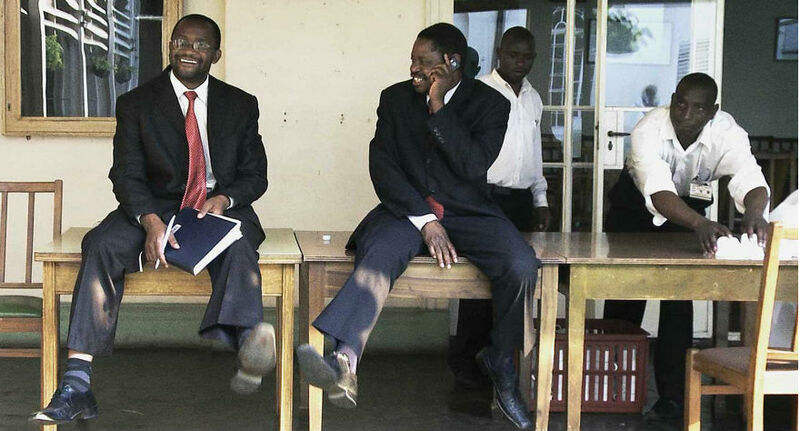 The messy, fraught negotiations (which led to unrest and violence in the streets), were spearheaded by Paul Mangwana (ZANU-PF), and Douglas Mwonzora (MDC), party-appointed speakers and mobilizers who throughout the arduous drafting process had the weight of a combustible country bearing down on their shoulders. Luckily for Nielsson, she caught a lot of the high-stakes drama on film, gaining unprecedented access into the firestorm. It’s a scary, often wickedly funny experience to watch Mangwana and Mwonzora (it took me a while to get their names straight) try to keep their heads about them during the barrage pressure-cooker scandals and debates. It’s like watching a twisted human experiment on the horrific effects of politics: This is your brain; this is your brain on diplomacy *sizzle*. Any questions? Democrats is in fact fueled by one major question: How can Mangwana and Mwonzora, co-chairpersons representing two parties with radically different perspectives, work together to write “the second most important book after the Bible?” On a personal level, they’re a stark contrast in temperament: Mwonzora, a seasoned human rights lawyer, is a cool-headed pragmatist and strategist who’s more than a little jaded by the manipulative machinations of the larger political landscape (“a nation of great pretenders”, his assistant calls their countrymen); Mangwana is more of a baby-kisser, a genial campaign leader who transforms Jekyll and Hyde-style into a tantrum-throwing terror when negotiations don’t go his way. The constitution project seemed all but doomed at the outset, with the two parties poring and tussling over every line of the draft so incessantly the process was postponed for years. The climate was harshest for Mangwana and Mwonzora specifically, whose integrity was constantly scrutinized by the public, the slightest sniff of political foul play by either of them being as good as a death sentence to the Zimbabwean people. They each bit their bullets: Mangwana was accused of conspiring to get a line in the constitution that would effectively oust Mogabe, his party leader; Mwonzora was thrown into prison without food or water for three days on dubious charges. Hampering the process more than anything was the game of terror and intimidation played by ZANU-PF. Hundreds of public consultations (basically town hall meetings) were conducted across the country to gauge public opinion and steer the constitution-writing process. Evidence emerged that ZANU-PF supporters were being bused into public hearings where the MDC should have shown strong, and that ZANU-PF war veterans were being used to intimidate people into making choices. The footage of the hearings, which too often devolved into violent riots, is breathless. Nielsson tells her story with clarity, the presentation largely unadorned. There are little to no talking head interviews because her two subjects are never at a loss for words in their natural environment. The production feels tasteful and organic, to the point where you get so wrapped up you forget it’s a production at all. There’s an evolution of respect between Mwonzora and Mangwana that’s slow-going but encouraging and powerful by film’s end. It’s a sign that, with perseverance, empathy, and a boatload of patience, the past can be put aside for the good of a more enlightened future. Hanging over all of that good stuff like a dark cloud, though, is the bitter reality that diplomacy and grassroots mobilizing are often needlessly dangerous affairs that can get innocent people killed. This review was originally published as part of our coverage for the 2015 San Francisco International Film Festival. 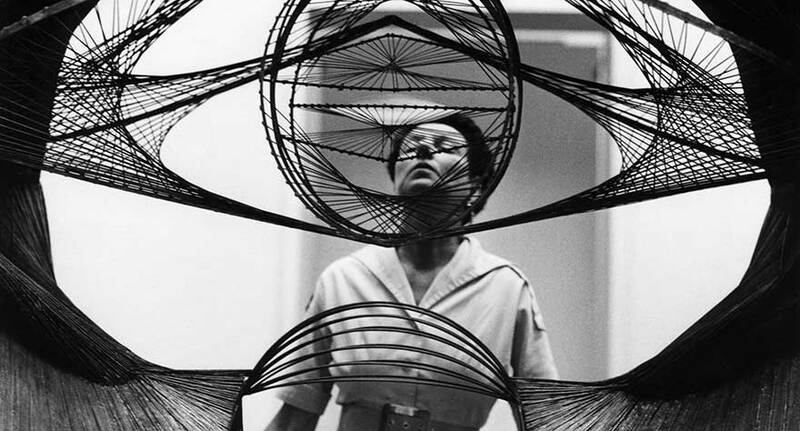 As sharply put together as it is, 'Peggy Guggenheim: Art Addict' feels both overstuffed and cursory.